Nvidia have confirmed the existence of the Geforce GTX 960 today, as well as revealing the specifications and expected performance of the card. The card will wield the effective power of two GTX 750 cards, and have great overclocking ability; able to play some of the latest games at an average of 60 FPS according to Nvidia. GPU enthusiast site Videocardz got the lowdown after speaking with Nvidia CEO, Jen-Hsun Huang, who spilled the beans on the upcoming GTX 960, as well as its specs. The reference card will have 2GB of VRAM, as well as a boost clock of 1178 MHz. Following the Maxwell architecture, the card will only require 120W of power, provided by a single 6-pin power connector. 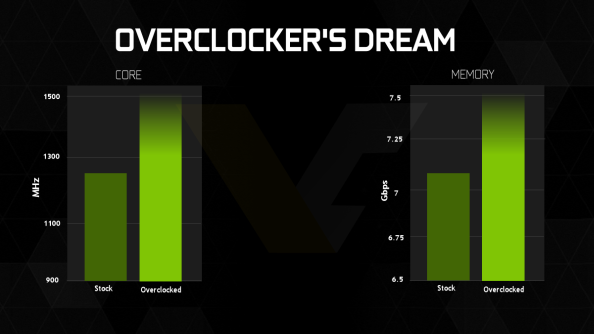 Where it gets interesting is in the overclocking capabilities. Nvidia said that the GTX 960 can reach clock speeds as high as 1.5 GHz. Putting it to the test against the likes of Watch Dogs, Assassin’s Creed Unity and Tomb Raider, Nvidia states that the card will be able to push an average of 60 FPS at 1080p (high settings, 4xMSAA). In other news, Nvidia have also claimed to have sold over 1 million GTX 970 / 980 cards since their launch last year. 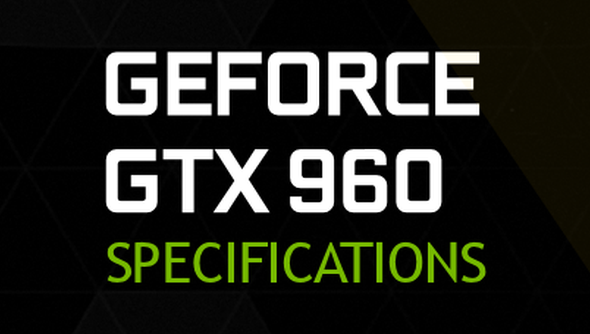 The Geforce GTX 960 is expected to launch next week, on January 22nd.